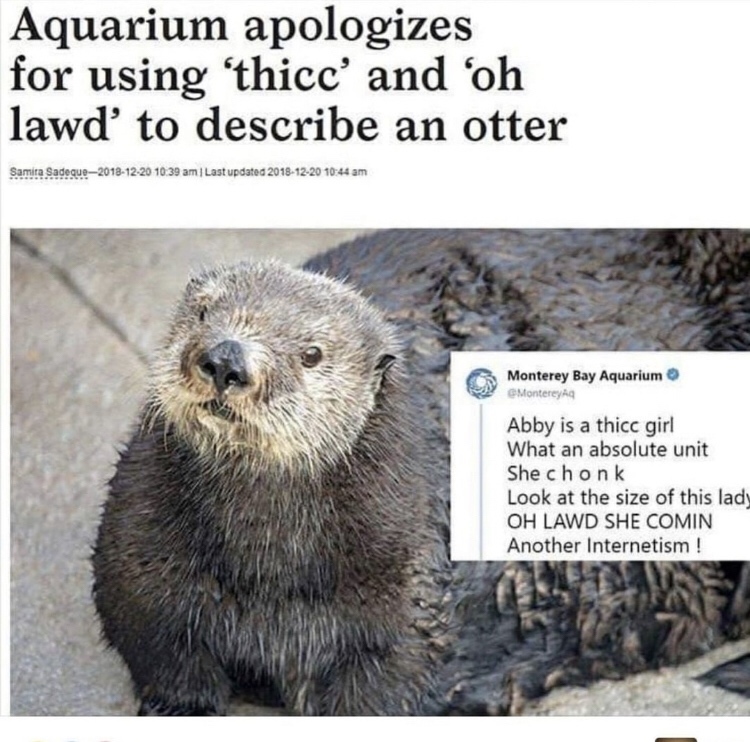 Aquarium should apologize for making this otter overweight. True, then I’ll apologize for my comment. No, apparently not preggers, it’s just a bad angle. F*** some people’s children need to grow a back bone, it’s not always about you.